The collapse of Gowex has ramifications beyond Spain’s junior stock market for riskier companies. The Spanish wifi provider has said its chief executive admitted falsifying the accounts, days after investment firm Gotham City Research attacked the company. With Gowex held up as the poster child for Spanish entrepreneurialism, its impending failure will make life harder for other small firms. The fall from grace began on July 1 when Gotham produced a 93-page report saying 90 percent of Gowex’s revenue did not exist, and claiming the company’s largest telecom customer was in fact itself. Gowex responded with a vigorous rebuttal of the claims. But the report still wiped out over 60 percent of Gowex’s shares over two days, or 870 million euros, before the stock was suspended. Now Gowex says it is to file for bankruptcy in the wake of the CEO’s revelations. The tale is a blow to Spain’s fledgling alternative market, the MAB, which has had 23 listings since 2009. MAB says its regulation is in line with other neighbouring junior markets. It is not clear that tightening the rules is the solution. The point of these markets is to help smaller companies get access to capital without jumping through too many hoops. And fraud is always hard to police. Still, the damage to credibility goes far beyond Gowex’s exuberant chief executive, Jenaro García Martin. He hobnobbed with senior politicians as the company received numerous awards, including “best new listed company” from the Federation of European Stock Exchanges and the European Commission. Gowex’s auditor may have been obscure but Ernst & Young, its registered market advisor responsible for helping it meet information requirements, is anything but. Analysts recommended its shares and smart, international investors snapped them up. Right now, Spanish assets in general are in vogue – especially sovereign debt. Pescanova, another fraud case on Spain’s larger stock market that came to light last year, did not obviously lead to increased risk aversion. But Spain’s smaller companies – the key to genuine economic revival – are having a harder time accessing bank and equity finance. Gowex is a story they can really do without. A sign advertising Spanish wireless networks provider Gowex is seen outside the Bank of Spain in Madrid July 6, 2014. Gowex, a Spanish wifi network provider, said on July 6 it would file for bankruptcy and disclosed that its chief executive had told the board he had falsified the company’s accounts for at least four years. Gotham City Research published a 93-page report on July 1 valuing the Spanish company at zero euros. The U.S. investment firm said over 90 percent of Gowex’s revenue did not exist. It claimed that Gowex’s obscure auditor was paid a fraction of the fees of similar-sized companies and did not have a business email address. Gowex first responded to Gotham saying the report was “false” and hired PricewaterhouseCoopers to carry out a forensic audit of its accounts. 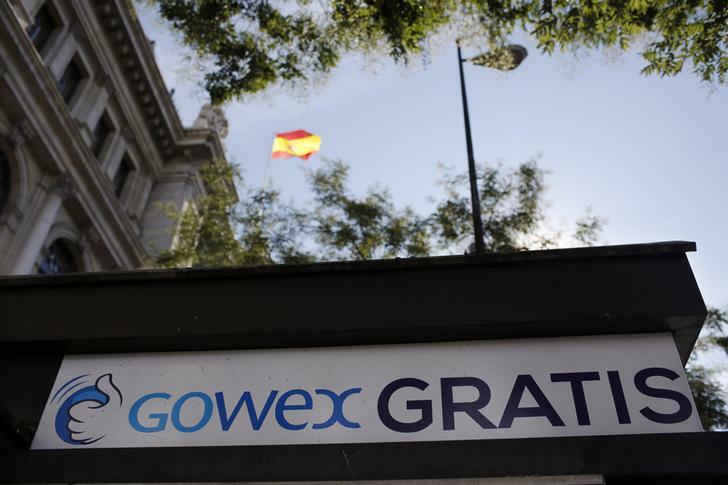 Gowex is among 23 companies listed on Spain’s alternative market, the MAB. Shares fell 60 percent in the two days following the publication of Gotham’s report, wiping around 870 million euros ($1.2 billion) off the company’s market value. The shares were suspended on July 3. Chief Executive Jenaro García apologised on Twitter saying he was “sorry from my heart” and would face the consequences. The company had won numerous awards, including Europe’s “Best New Listed Companies” by the Federation of European Stock Exchanges and the European Commission.